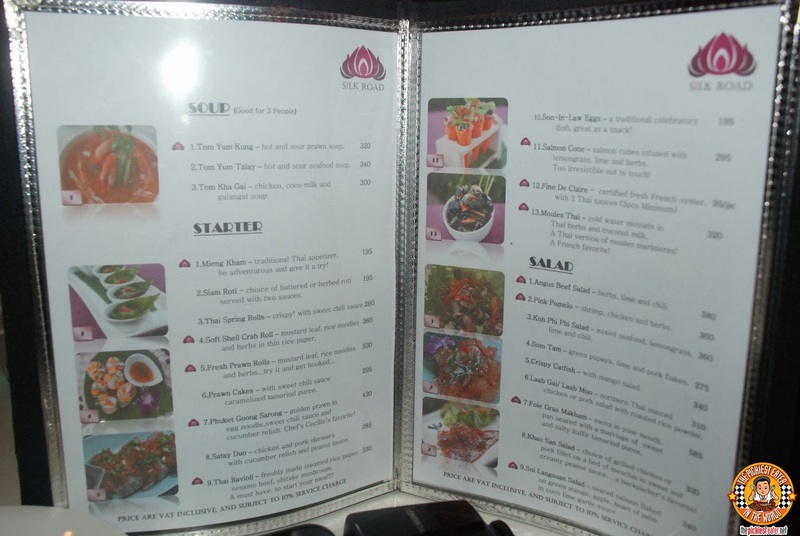 Though the foundation of the restaurant is without a doubt, the food, Silk Road should not be mistaken for a mere Thai restaurant. 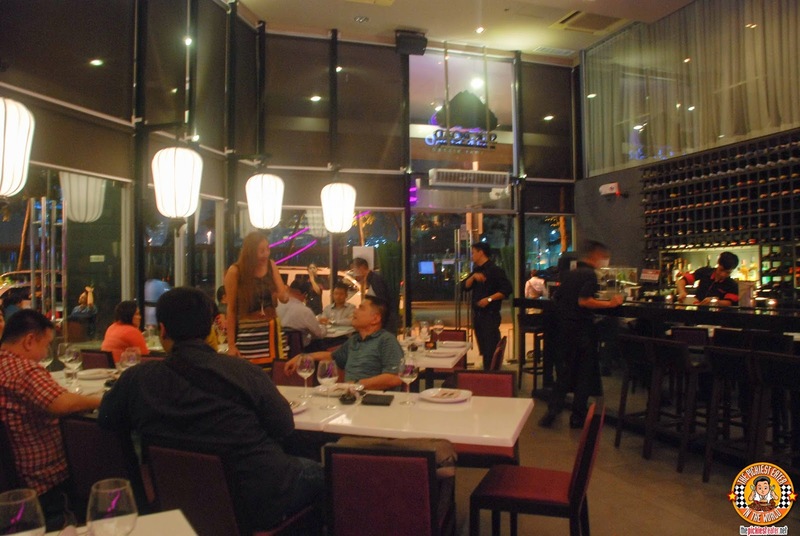 Silk Road also features an extensive selection of wines and other alcoholic beverages that make Silk Road an ideal place not to just for a dining experience, but for a night out on the town as well. The "Son in Law" eggs were first served. This got its name, because I believe this is traditionally served by parents to their future Son In Law during the "Pamanhikan" (not sure what's the English translation.. "Meet the Parents?"). The creamy hard boiled eggs are smeared with a helping of a sweet, yet zesty sauce, and topped off with a sprig of chili. Chef Cecile whipped out an extremely unique and innovative dish, with her Salmon Cones. 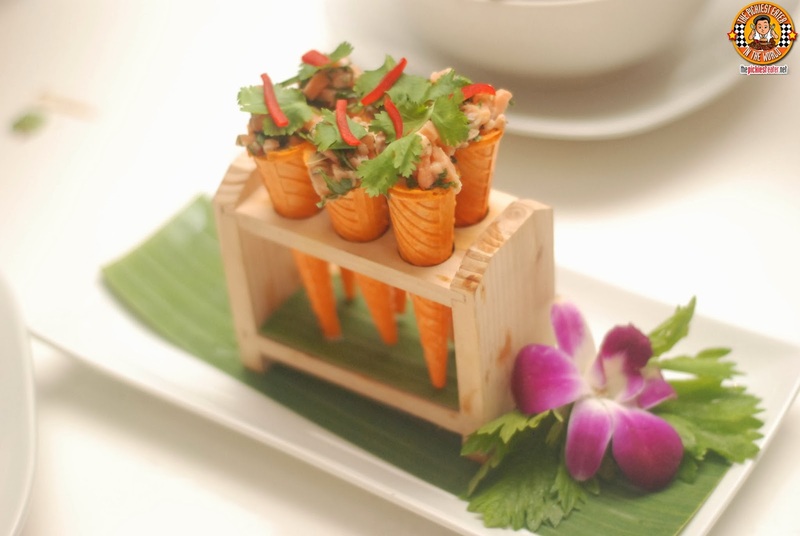 Minced Salmon in a mixture of herbs and spices, and a nice touch of acid, intricately scooped into a cone. 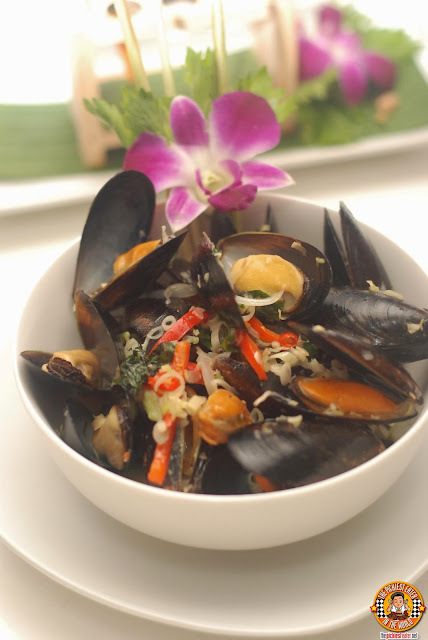 I don't eat mussels, so I didn't try the Moules Thai, which was a hit to everyone else. But what I did try, was the amazing green curry sauce that it was bathed in, and it was marvelous. 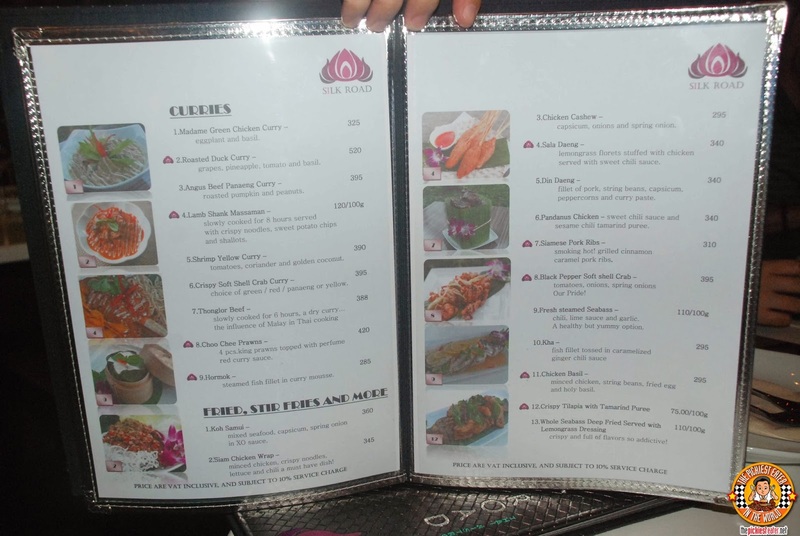 I was trying to think of a better Pad Thai than Silk Road's, and the first dish that popped up into my head that comes close... was Thai Bistro's. Which technically is the same thing meaning excellence, duplicated. 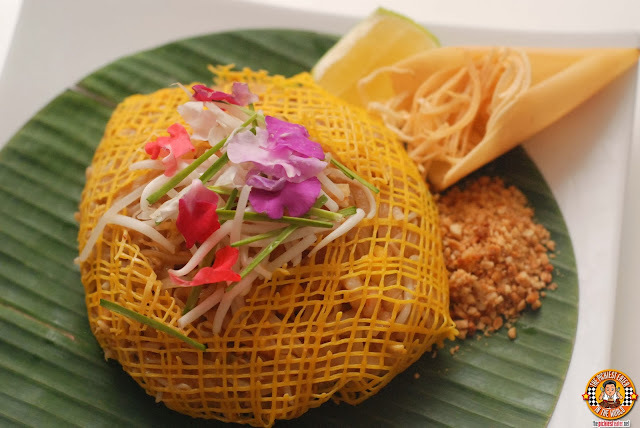 The beautiful harmony of noodles, peanut, pork, shrimp and intricately encased in an egg weave basket. Mind blowingly good. Apart from the Pad Thai, which I had before, there are three dishes at Silk Road that really left me with cravings, even weeks after first trying it. 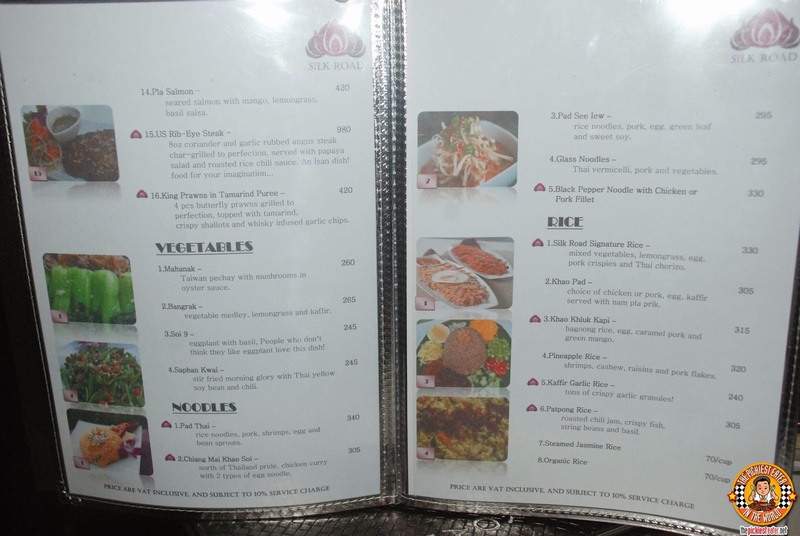 The first was the Lamb Shank Massamam (P120 per 100 Grams). 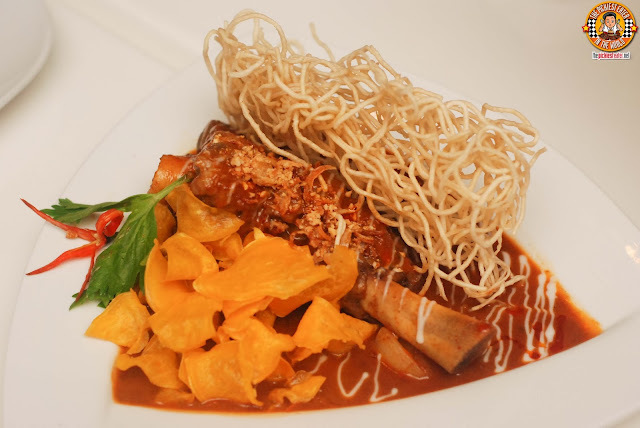 The lamb meat was slow cooked for 8 hours, leaving it an an incredible tender state, and drowned in a fragrant brown sauce, and served with a side of rice noodles and sweet potato chips. The gaminess of the lamb just worked harmoniously with every single component of the dish, making it something I needed in my life once again. Given my love for ribs, it came to no surprise that my next favorite was the Siamese Pork Ribs (P310). 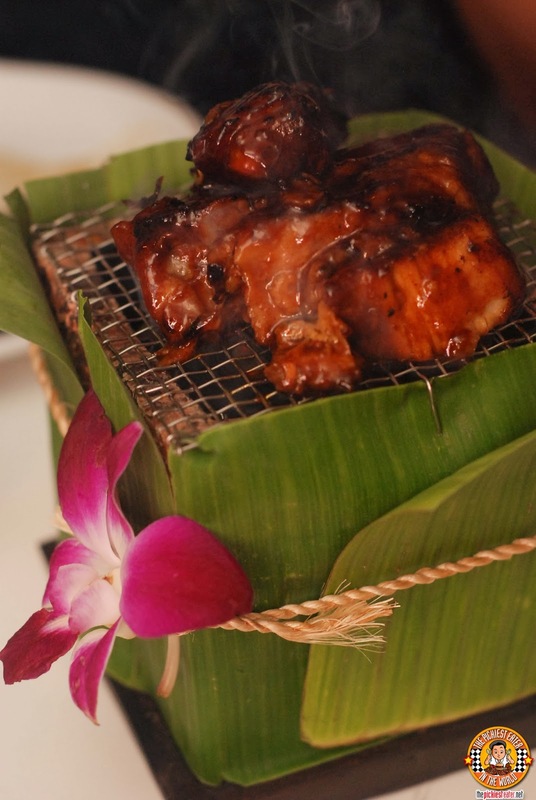 The ribs are served atop a mini grill, so that the meat is constantly being warmed, and the cinnamon glaze consistently wrapping the meat in its stunning caramelization. This is a wonderful marriage of sweet and savory, all in one dish. 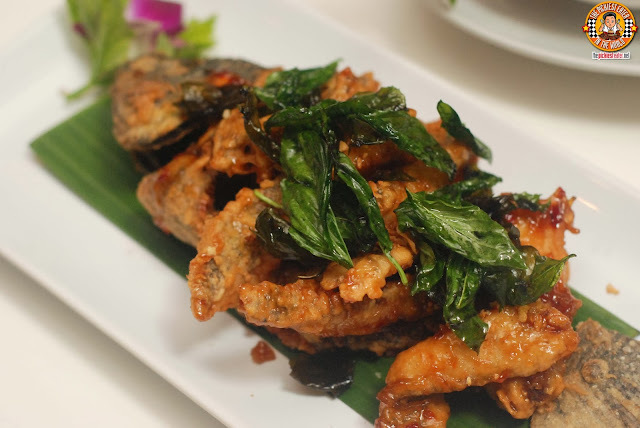 It was a surprise to many that my favorite dish.. More than the Lamb, and yes, even more than the ribs, was the Crispy Sweet Tilapia with Tamarind Puree (P75 per 100 Grams). Forget Max's fried Chicken. THIS is the dish that personifies the term, "Sarap to the Bones"! The chunks of filleted Tilapia were fried, then dipped in a delicious tamarind based glaze, coating it in a blanket of delicious sweetness, and gentle hints of heat and acid, rolled into one. It was so good, I decided to forget any form of civility and bury my face into this, yes, including the bones. As I was tearing into the fish carcass, God proved that he has a sense of humor, when one of my all time crushes, Sam Pinto, walked through the doors of Silk Road. Sam gracefully glided through the room, and stood right in front of me as she waited to be seated, looking every bit like angel. As she waited, FHM's Sexiest Woman of 2012, who was a few feet away, all of a sudden- for a single, solitary moment- glanced right at me. And just like that, our eyes met. And there I was, staring at her. 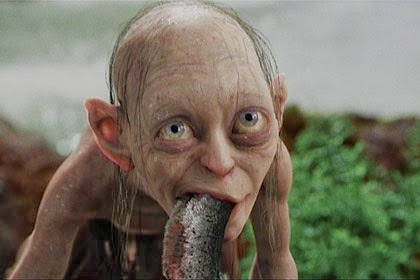 With a fish in my mouth. I don't know if its a coincidence, but her group asked to be moved to another table instead. A table farther away from me. Doesn't matter. Was totally worth it. hehe. As a consolation prize, I turned to my dessert, the Silk Nest (P240). 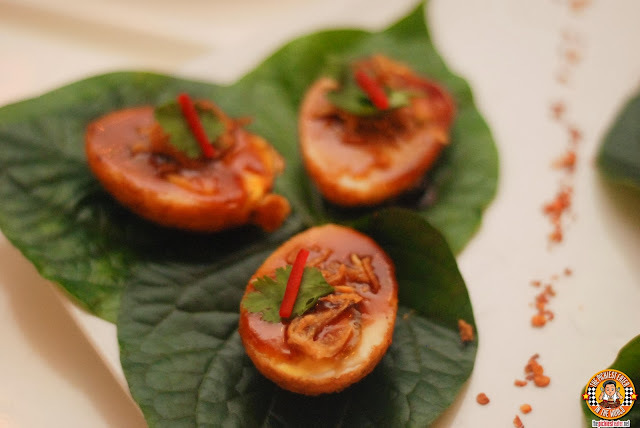 Slivers of Taro and Sweet Potato are fried to a crisp,and formed into a delicious nest where a scoop of Coconut ice cream is laid upon. 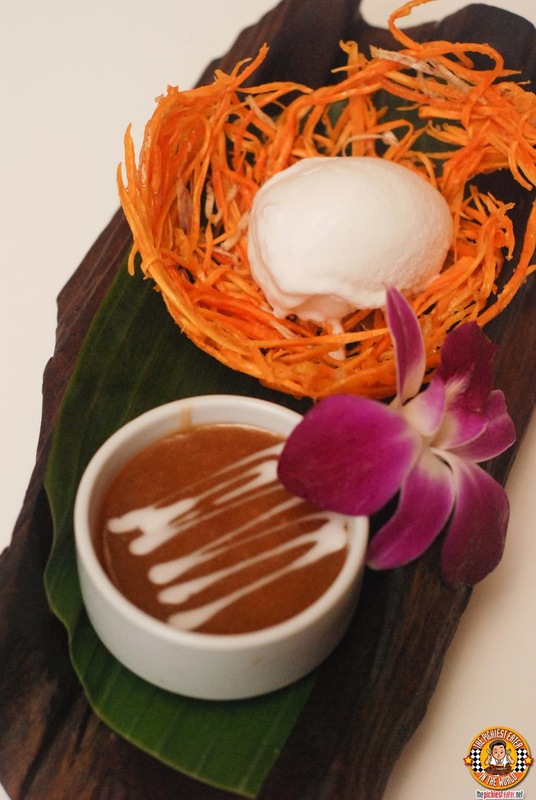 A sweet coconut syrup is then poured on to the ice cream, and everything mixed up. A brilliant way to end your meal. 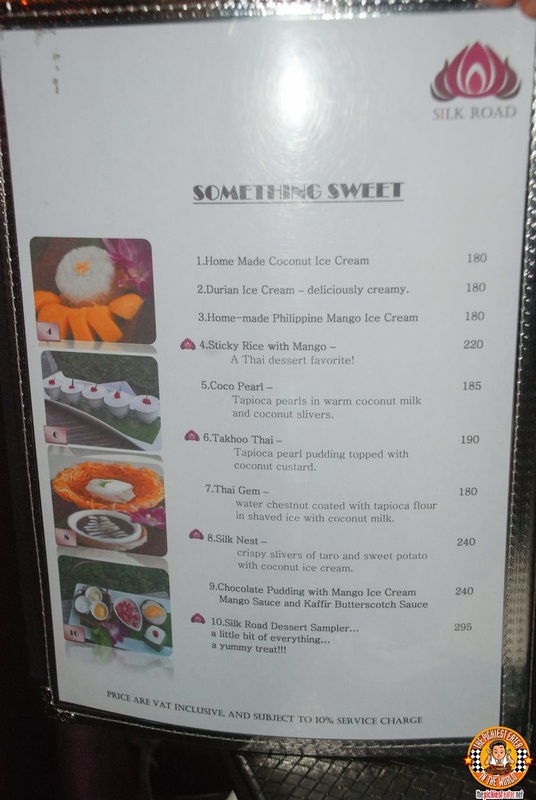 If you can't choose just one, then you might want to give Silk Road's Dessert Sampler, Which includes a bit of sliced mango, Young Coconut, Durian Ice Cream, Sweet Mangoes on Sticky Rice, Takhoo Thai and Coconut Milk with Tapioca. Every component will surely hit the mark. CONGRATULATIONS CHEF CECILLE! Once again, you've knocked it out of the park with an amazing concept. 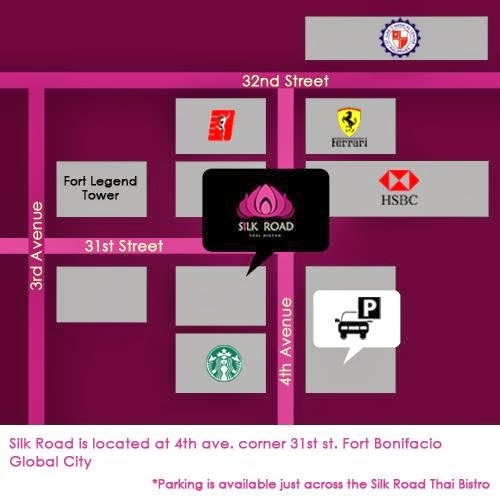 When looking for restaurants in Bonifacio Global City (BGC), Silk Road should be among the very top of your lists of restaurants to try. This is truly a Thai food experience that you should not miss! P.S. Thank you Shen for the invite once again! 4th Ave. corner 31st street. 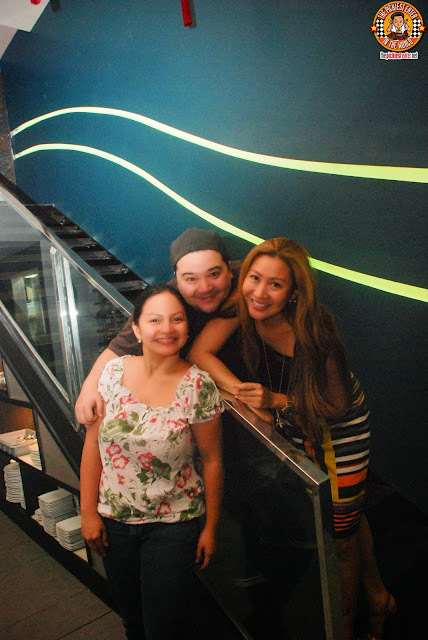 This place isn't too far from Makati.. maybe we can food trip here one time!